BMW of North America first came to the Rolex 24 At Daytona in 1975 with two BMW 3.0 CSL racing cars that were the foundation of the company’s very first marketing program in North America. 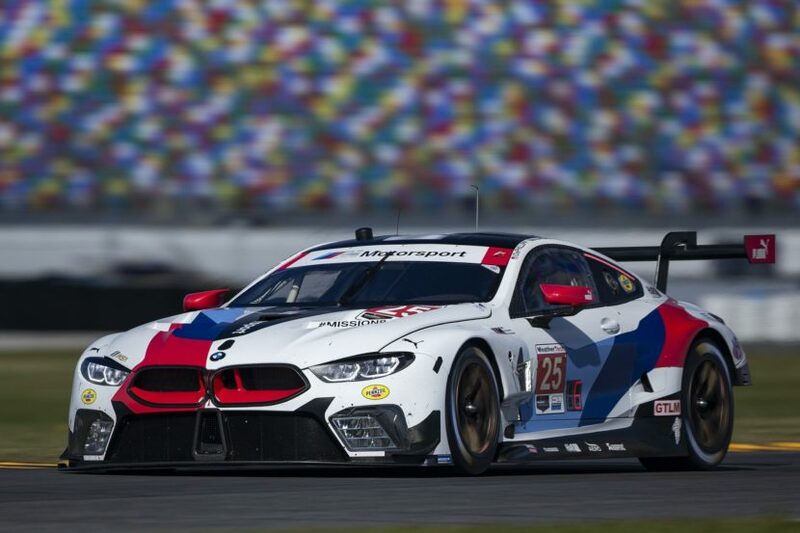 57 years later, BMW NA continues to race entering two BMW M8 GTE machines in the 2019 Rolex 24 At Daytona. 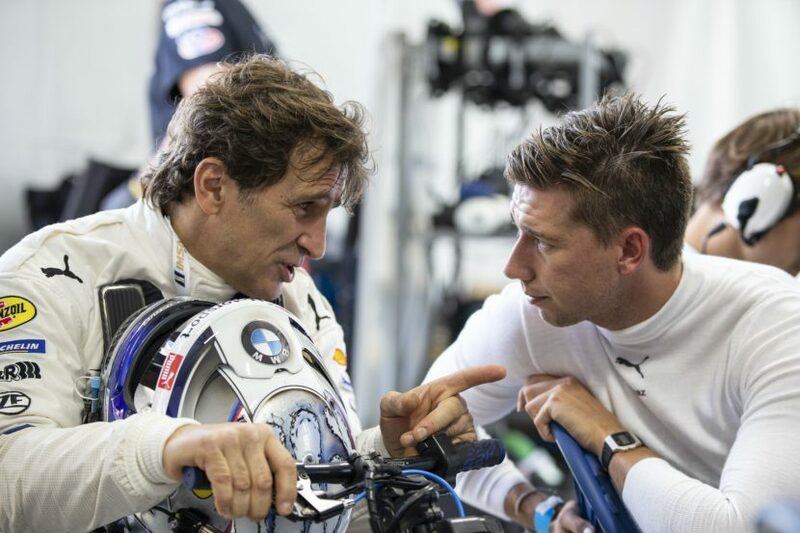 The 2019 Rolex 24 At Daytona will see BMW NA Ambassador Bill Auberlen start his 411th race in a BMW. Joining one of the top BMW Customer Racing teams, Turner Motorsport, full season the veteran will race in the GTD class in search of the three victories that will make him the winningest sports car driver in IMSA history. 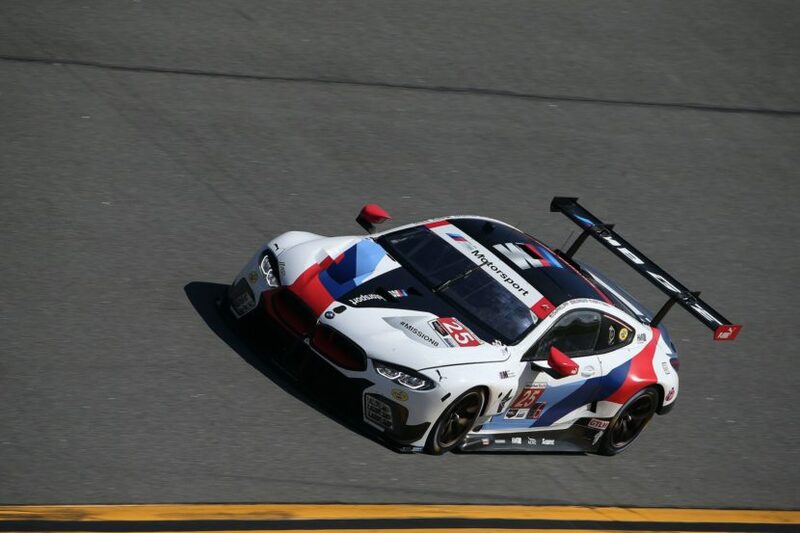 BimmerWorld makes a return to IMSA racing after a very successful 2018 season. The Dublin, VA-based team finished third in last year’s GS class and won the Street Tuner (ST) championship. For this weekend’s BMW Endurance Challenge at Daytona, the opening round of the Michelin Pilot Challenge series, the No. 82 BMW M4 GT4 will be co-driven by team owner James Clay and Devin Jones. The second BimmerWorld entry, the No. 80 BMW M4 GT4, will be co-driven by 20 year old drivers Aurora Strauss and Kaz Grala. Straus finished second in the Pirelli World Challenge’s GTS SprintX-Am class last year while Grala won the NASCAR Camping World Truck series race at Daytona in 2017. Jones scored a class victory at Daytona last year while James Clay will be starting his 10th Daytona race this weekend. In three short years, the Plano, TX-based team has grown to be one of the largest and most successful BMW customer racing effort in the world. 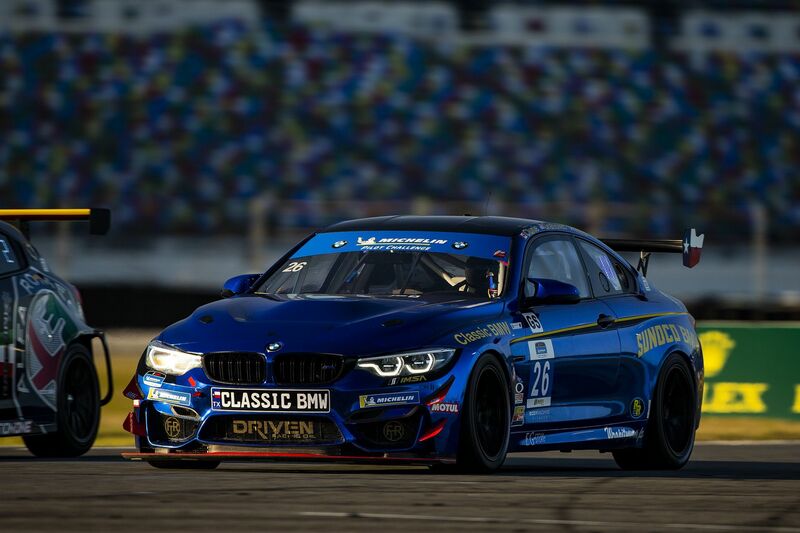 Winners of the 2018 BMW Sports Trophy Team title, Classic BMW returns to IMSA in 2019 with the #26 BMW M4 GT4. At Daytona, Team Manager Toby Grahovec and regular Jayson Clunie, who shared a podium finish at Sebring last year, will split driving duties with newcomer Kyle Reid. Competing in the 2018 MINI Challenge, Kyle took 18 podiums in 20 races, of which 15 wins, earning him the Sunoco 240 Challenge victory and subsequent seat in the #26 BMW M4 GT4 for the BMW Endurance Challenge at Daytona. The team will aim for the podium, following its 4th place finish in last year’s race. international lineup of drivers. The No. 24 BMW M8 GTE will be co-driven by Alessandro Zanardi (IT), John Edwards (USA), Jesse Krohn (FIN) and Chaz Mostert (AUS) while the No. 25 M8 GTE will be piloted by Connor de Phillippi (USA), Augusto Farfus (BRA), Philipp Eng (AUT) and Colton Herta (USA). The January 26th BMW Endurance Challenge At Daytona will provide the opening act for the 57th annual Rolex 24 At Daytona weekend as privateer and professional racers From all over the world begin another season of sports car racing in North America. The four-hour race is the opening round of the 2019 IMSA Michelin Pilot Challenge. For an eighth consecutive year as title sponsor, BMW of North America, LLC will support the race with the Grand Marshal, starter and pace car. FAST, the 19th BMW Art Car. Designed by renowned American artist John Baldessari, this M6 GTLM competed in the 2017 Rolex 24 At Daytona. Finishing in 8th place, it was co-driven by Bill Auberlen (USA), Alexander Sims (GBR), Augusto Farfus (BRA) and Bruno Spengler (CAN). After its first and only race, the car was retired and now is part of BMW’s Art Car Collection. 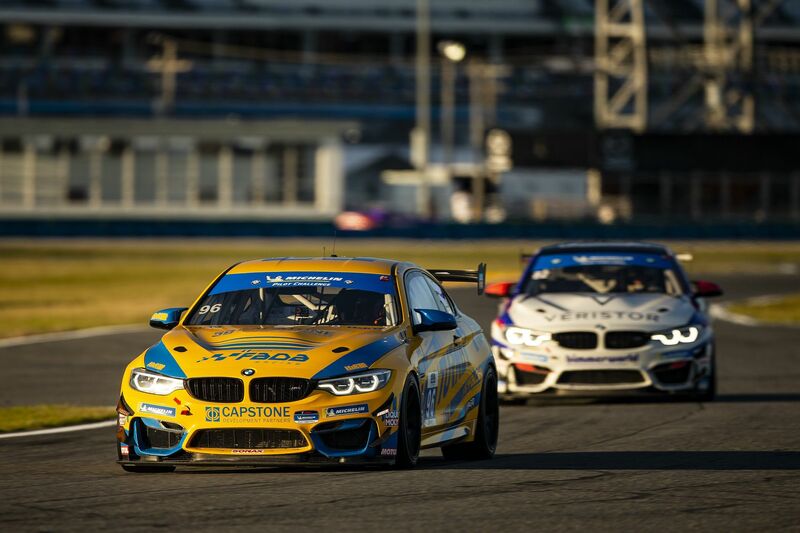 The green flag for the 2019 BMW Endurance Challenge At Daytona waves at 12:15 p.m. Friday, January 25. The race will be broadcast on NBCSN Feb. 6 from 1:00 – 3:00 p.m. The 57th annual Rolex 24 At Daytona Race for the IMSA WeatherTech SportsCar Championship starts at 2:35 p.m. The engine of the BMW M8 GTE consists of 2,300 parts and generates between 450 and 500 horsepower, depending on the requirements of the respective sporting authorities. Devin Jones won the ST Championship in 2018 with BimmerWorld Racing. With nine podium finishes under his belt during the last season Jones will join team owner James Clay behind the wheel of the No. 82 BMW M4 GT4 in Daytona this weekend. Australian driving ace, Chaz Mostert makes his second start behind the wheel of the BMW M8 GTE. His first race at Petit Le Mans last year ended with a podium finish. As the BMW Team RLL quickly learned, the only impression Chaz is really able to do well is that of a Kangaroo. Lights will be very important during the 13 hours of darkness at this year’s 24 hours At Daytona. The headlights in the BMW M8 GTE were developed from scratch specifically for the endurance racing environment. They not only look cool but are also state of the art in both design and manufacturing. The cooling elements for the headlights are 3D printed in-house at BMW’s Additive Manufacturing Campus in Oberschleissheim, just north of Munich. The most powerful letter in the world. BMW models for 2019 include M850i xDrive Convertible, X7 SAV, Z4 Roadster and the M5 Competition, all on display in the infield at Daytona International Speedway this weekend. It takes four transporters, 56 crew, 8 drivers, 10 golf carts, 2 physical therapists, 8 motor homes and 24 lbs. of beef jerky to run two BMW M8 GTE race cars for 24 hours at Daytona this weekend. Comprising two locations, Performance Center East in Greer, SC and Performance Center West in Thermal, CA, the BMW Performance Driving School offers a variety of driving classes that highlight the performance, responsiveness, and safety features in each BMW vehicle. BMW Performance Center instructors will be at DIS providing VIP hot lap rides on Friday and Saturday. There are two qualifying sessions in Daytona. One takes place at The Roar Before the 24 to allocate pit and garage spots. The second, more familiar qualifying, takes place on Thursday to determine the starting positions for the race. Bobby Rahal leads BMW Team RLL into its second decade as BMW NA’s motorsport partner. The team works tirelessly before, during and after each race to prepare the two BMW M8 GTE race cars for competition. Stephen Cameron, Henry Schmitt and San Francisco BMW, that is a lot of S’s but for 30 years, Cameron Racing has been competing and supporting customer racing programs for fellow enthusiasts. Cameron and Schmitt will take the green flag at this weekend’s BMW Endurance Challenge race behind the wheel of the No. 88 BMW M4 GT4. BMW of San Francisco, an official BMW Motorsports Parts center continues their support of the veteran Cameron Racing team for the 2019 season. BMW still believes that racing improves the breed which is why the M8 GTE race car was launched more than a year prior to the street version. Racing is one of the best tests of strength and reliability and the IMSA WeatherTech SportsCar Championship provides the perfect setting for testing of 3D printed parts for example. The Ultimate Driving Machine has been BMW’s claim since 1975 and continues to be proven on the roads and racetracks throughout North America to this day. The BMW M8 GTE scored two victories in its 2018 inaugural season and at this year’s Rolex 24 At Daytona, BMW Team RLL is looking to add to the brand’s win tally at the classic endurance race. An overall win was scored in 1976 by the BMW 3.0 CSL and by a BMW Powered Daytona Prototype in 2011 and 2013. Class wins were scored in both 1997 and 1998 by the BMW M3 GT2. Will Turner’s Turner Motorsport team has been racing for over 20 years with BMW making them the second longest running BMW team. Turner Motorsport plans a full season program in GTD plus a return to GS with the M4 GT4 for the first time in yellow and blue. BMW Manufacturing Co., LLC in South Carolina is the BMW Group global center of competence for BMW X models and manufactures the X3, X4, X5, X6 and X7 Sports Activity Vehicles. BMW’s lineup of Sports Activity Vehicles accounted for 63 percent of BMW brand sales in December 2018. Plant Spartanburg exports 70% of the vehicles that are built here making BMW the largest exporter of vehicles by value form the U.S.A.
50 Years of IMSA, 50 years of BMW Car Club of America, 44 years of BMW of North America, 25 years of BMW Plant Spartanburg, 11 years of BMW Team RLL and 2 years of M8 GTE racing. Alessandro Zanardi makes his return to racing in America this weekend at the Rolex 24 at Daytona. Zanardi was the 1997 and 1998 IndyCar CART Series champion and has been racing with BMW since 2003. A Paralympic multi-time gold-medalist and world record setter, Alex will take on the new challenge of endurance racing with BMW Team RLL behind the wheel of the No. 24 BMW M8 GTE. A special hand-control steering wheel was developed for Alex Zanardi specifically for the Rolex 24 At Daytona. It will be swapped in and out of the BMW M8 GTE during his driver changes.